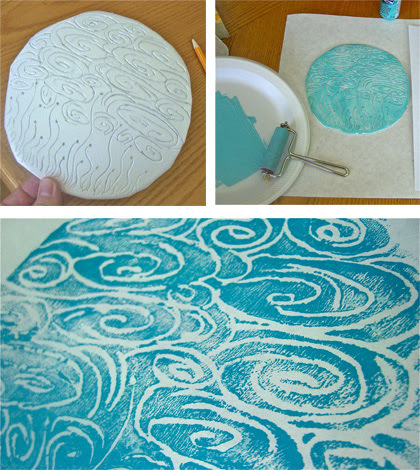 I've always been fascinated by block printing. So, I was really inspired when I saw this idea (from Pinterest, of course) for foam printing. 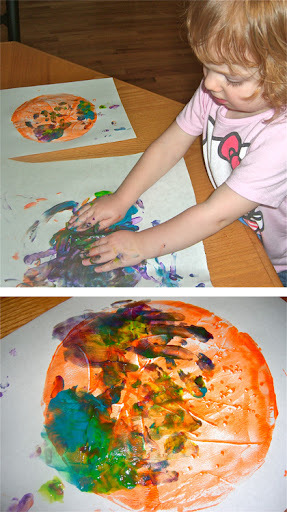 Jellybean and I decided to experiment with this new medium. Buddy did not participate as he has little to no interest in paint. It's a tad too messy for his taste. We went to town on a stack of foam plates from the dollar store. I used water based acrylic paint and Jellybean used finger paints. We found that neither were thick/tacky enough for a perfect result, but they worked in a pinch. A printmaking ink like one from Speedball would work better. We both used a sharpened pencil to draw with. After a little experimentation, I found it a little easier to work with a letter opener that I had on hand. Now that's a piece of art worthy of the refrigerator! Beautiful! Our experiment was a really good jumping off point. I plan to explore this art form a little more once I have my hands on a higher quality ink. I'll have to see where that goes. So glad you like it! Thanks for dropping by. Great idea, especially to do with kids. I am pinning this! Also, I am your newest follower, thanks for stopping by my blog! Yay! Thanks for pinning and following! I love love love this idea! that is some fine art! pinning AND following! 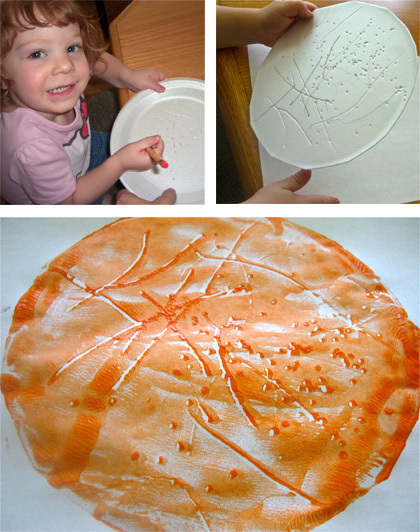 I have done something similar with egg cartons and produce trays (http://artmamasays.blogspot.com/2012/03/making-stamps-from-egg-cartons.html) It is a great activity for teaching older kids about mirror images too. Very nice. All of that foam needs to be put to good use. That is a great idea. I like that Jellybean added some hand prints to her final design. Please link this post (and any other arts, crafts and play posts you'd like to share) to Artsy Play Wednesday on Capri + 3. I hope to see you there. Thanks so much! I'll come by and check it out! Oh how fun and beautiful!! We will definitely have to give this a try! Thanks for sharing at Sharing Saturday!! Congratulations! You are our most clicked post this week. I'll be featuring this one. Have a great week!! This is a great idea! I'm featuring you today! 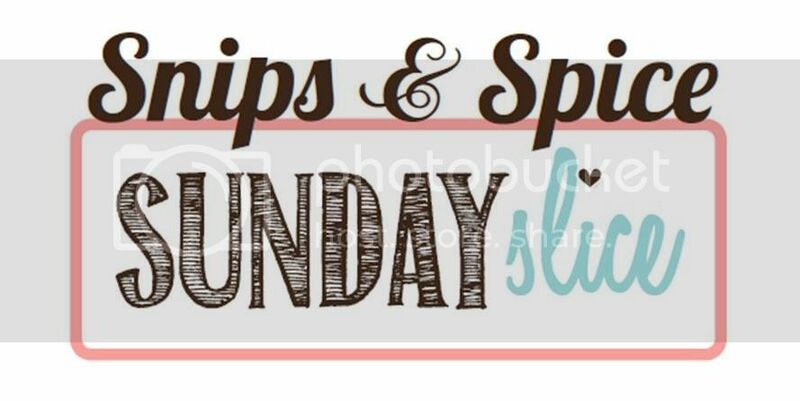 Thanks for sharing at Snips and Spice Sunday Slice.